Questions continue to be raised about a giant water pipeline project that would pump roughly 16 billion gallons of groundwater annually from Burleson County to San Antonio. On the eve of the council's historic vote, emails obtained by The Texas Tribune between a chief contractor for the project and the city's water utility have breathed more life into those objections. In February, the San Antonio Water System rejected any groundwater pipeline project as too difficult and unnecessary. Weeks later, it reversed course and began advancing the Vista Ridge project. In between, the utility received emails from Gene Dawson, whose engineering firm is now one of the lead contractors for the project, and who is the main negotiator for the deal. They reveal a businessman adamant about the need to secure enough water, in part to avoid lawn-watering restrictions. A spokesman for the city's water system said it would take decades before the city would need all of that water. 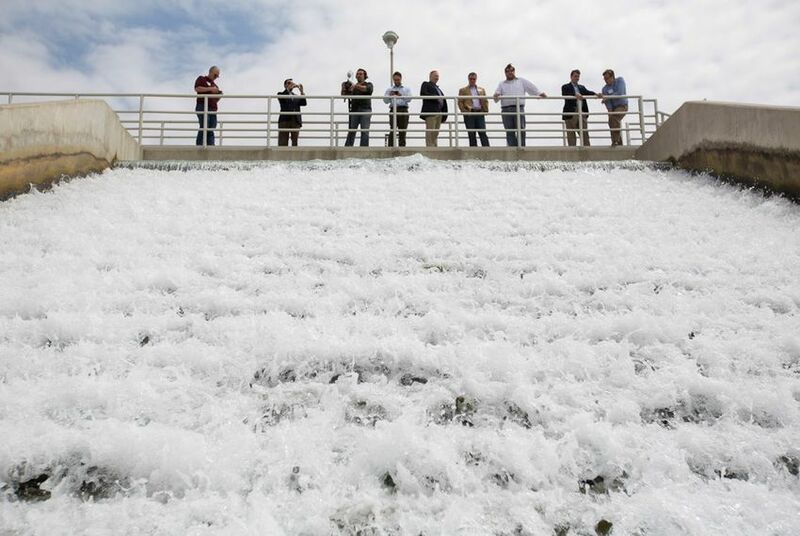 Meanwhile, he said part of the impetus for the project is to minimize the number of times the city enters into drought stage water restrictions. A critic said that projects like the Vista Ridge pipeline are incompatible with other water management tools like conservation, which, if successful, reduce demand. The end result would be to make the pipeline even more expensive. The San Antonio City Council is set to take a vote on the project today. Disclosure: The San Antonio Water System was a corporate sponsor of The Texas Tribune in 2012 and 2013. A complete list of Tribune donors and sponsors can be viewed here. • The major-party candidates for Railroad Commission — Democrat Steve Brown and Republican Ryan Sitton — take part in a TribLive conversation at the Austin Club at 8 a.m. We will livestream the event for those unable to make it. • GOP gubernatorial nominee Greg Abbott casts his ballot at an Austin grocery store at 4:30 p.m., then meets with the press. Democratic gubernatorial nominee Wendy Davis makes four "get out the vote" stops in the Rio Grande Valley, accompanied by U.S. Rep. Joaquin Castro.